When it comes to running a business, there is no better way to improve efficiency, increase productivity, and escalate profits than Lean Six Sigma. And there is no better book on how to make it work than Innovating Lean Six Sigma. 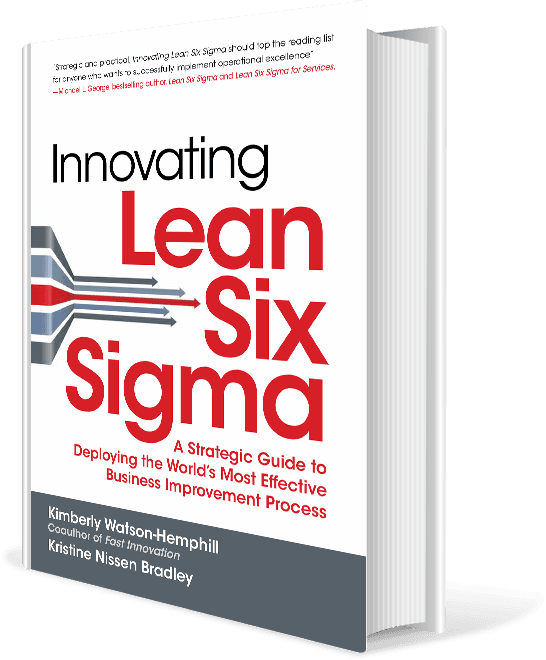 Kimberly Watson-Hemphill and Kristine Nissen Bradley discuss how to get the most out of the book, and what improvements will work best for you — wherever you are in your Lean Six Sigma journey. A book that is both strategic and practical, Innovating Lean Six Sigma should top the reading list for anyone who wants to successfully implement operational excellence. The methods described in this book will drive significant financial value for your company, engage and develop your employees, and help you meet the ever-changing needs of your customers. Kimberly and Kristine have continued to build on the foundations of everything that we started, advancing the approach based on their work with clients from around the world, and have summarized their learnings in this easy-to-read book. Our company implemented Lean Six Sigma after a period of rapid growth to become more process-focused, customer-focused, and data driven. The approach engaged and inspired our employees to improve our business processes and we achieved a 10X ROI in the first year. Full of case studies and practical examples from the author’s many years of experience, Innovating Lean Six Sigma should top the reading list of any business leader. The Lean Six Sigma initiative at Dr Pepper Snapple has been a major contributor to its success since 2011. In that time, their free cash flow has increased to an all-time high and the stock price has more than doubled, outpacing its peers by nearly 100%. Dr Pepper Snapple is now the Consumer Products leader in both inventory and capital productivity and has publicly reported over $200 million in cash savings all thanks to LSS. I was very blessed to establish and lead that initiative from 2011-2015 with the help of fantastic practitioners such as Kimberly Watson-Hemphill who with this book has provided a terrific framework for any executive looking to achieve breakthrough results from Lean Six Sigma. Innovating Lean Six Sigma is an executive’s how-to guide for deploying and maintaining a successful process improvement initiative. The practical and insightful material has been indispensable in developing a framework and system to equip and engage our employees to improve the member experience by creating standardized, consistent and value-added processes. The Lean Six Sigma principles described in the book have benefitted our business and have resulted in reducing our manufacturing times by over 50% which allowed us to almost double our output! This was accomplished by performing simple line balancing, continuous flow and using a takt rate board to monitor progress. We used these tools to balance the workload to allow for smoother flow and less downtime waiting on the next machine. The combined discipline of Lean Six Sigma has been around for well over a decade, and its component disciplines date back much further—a long enough time span to produce hundreds of deployments: some successful, some not. adopted Lean Six Sigma to ensure that patient focus is always given a top priority. Even in the midst of the differences, however, there seems to be a common pattern of evolution among these organizations. Regardless of the shape, size, or application, what all the success stories have in common is that the business leaders managed to navigate their way through some critical questions and unite many different pieces of a complex puzzle into a coherent whole. These leaders understood that in the Tao of Lean Six Sigma, there is no single right path. They became successful by defining what they wanted to achieve, creating a solid foundation, and then expanding where they used the methods and what tools they incorporated to meet their organization’s needs. They didn’t have to be perfect right out of the gate; instead, they focused on ways to continually learn from and leverage their lessons and gains. Also, these methods have evolved over time. Leading companies have learned to innovate, expanding the methods as well as their applications. begin shaping a culture that is more supportive of Lean Six Sigma methods. The final chapter discusses a more formalized way to evaluate where you currently are in your Lean Six Sigma journey and how to identify reasonable next steps. Part 2 is for companies that are well on the way to having a solid foundation and want to do more—tackle bigger problems, use more sophisticated methodologies, push the culture of improvement deeper into their company, and so on. The first chapter discusses business process management (BPM) and the important role it can play in ensuring high-level performance in core processes. Other chapters address design and innovation methods and their advantages when you are inventing new processes or products, the application of advanced statistical tools to tackle complex problems, setting up systems to better link strategy and execution, and how to tackle business challenges quickly with enterprise kaizen. We've also included a special chapter on the use of Lean Six Sigma in the healthcare industry because the need is so great and the demand so high. We want to point out that this book is not about the specific tools and principles of the Lean Six Sigma methodology. You can learn about those mechanics from countless other resources. The focus in this book is on helping people think about ways to improve how they use Lean Six Sigma to drive business results. Don't settle for less from your own deployment or avoid a promising opportunity to engage employees and generate significant financial returns for your business. With this book, we hope to provide you with practical advice that will help you decide what to do next, no matter where you are in your improvement journey. You too can innovate your own Lean Six Sigma journey, and join the leading companies that are doing it right. Sign up for our mailing list and we'll send you the first chapter for free. Thank you for your interest. 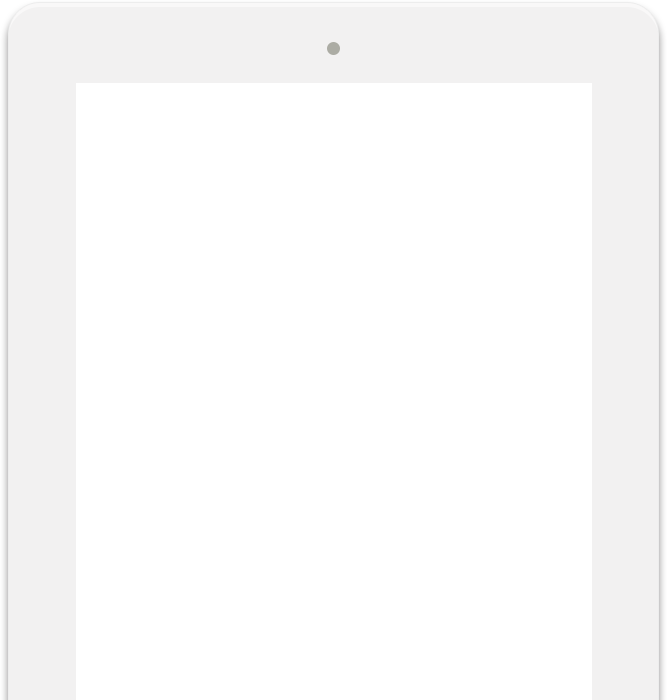 Your free chapter has been emailed to you. Kimberly Watson-Hemphill, founder and CEO of Firefly Consulting, is a globally known expert in the field of Innovation and Operational Excellence, and is a coauthor of Fast Innovation. 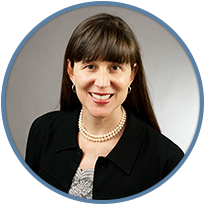 She has led global Lean Six Sigma deployments in multiple industries, including one that saved over one billion dollars. Randy is a Master Black Belt with over twenty years of experience in implementing all aspects of Operational Excellence, specializing in services and transactional applications. He has a Master's Degree from Texas A&M University in Health Administration (MPA). He served as a Sr. Partner for the George Group and most recently as the Global Research and Development Lead for Accenture's Process & Innovation Performance offerings. Chuck has three decades of performance improvement experience in both transactional and manufacturing environments. He has applied his passion for disciplined, rapid improvement in the Americas, Africa, Asia, Australia and Europe, saving clients millions of dollars, streamlining processes, and fundamentally changing enterprise operations and the organizations’ competitive position in the market. Lisa is a Master Black Belt with over twenty five years of experience in all aspects of process management and continuous improvement. 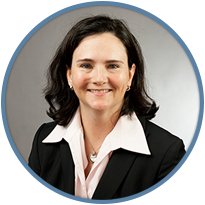 Lisa's specialties are Six Sigma, Lean, Design, Total Productive Maintenance and Total Quality Management. Lisa has a Ph.D. and MSE in Industrial Engineering from Arizona State University and a Bachelors of Mechanical Engineering from Georgia Institute of Technology. Jeff brings over 20 years of organizational and process improvement experience in service and manufacturing industries, including financial services, healthcare, chemicals and plastics, DoD combat operations and intelligence, semiconductors, as well as international logistics. He has broad experience in Fortune 500 companies throughout North America, Asia, and Europe. Mark is a Master Black Belt with over 20 years of combined consulting and industry experience. Mark has delivered multiple lean transformation and continuous improvement deployments, resulting in millions of dollars in improved operational efficiency, customer value/service and sustainable cost reductions. Have any questions regarding the book? 2016-2017 © - All rights reserved.